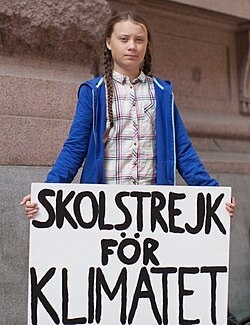 I keep on being surprised, over the effect Greta Thunberg has created through her following movement. She really beated me in that race. I want to take up the usage of why you don’t do things as ordinary people. People use this as an argument, to strengthen their position. What is an ordinary person, to a person who uses this as an argument? Usually it, what they refer to is their klick, but they try to use it so it looks like it’s is the majority of the world population who does things as the person who uses this as an argument.